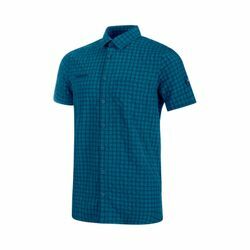 Mammut Lenni Shirt. With this new edition of a classic, you are equipped for your outdoor adventure. The Lenni Shirt Men features an antimicrobial treatment designed to reduce unpleasant odors. The shirt also impresses with its active moisture-wicking. A movement fold on the back provides extra comfort for everyday activities or traveling.